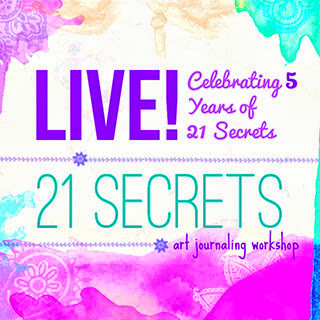 When I first found out that 21 Secrets Art Journaling workshop was going live, my first thought was gratitude toward Connie from Dirty Footprints who is always shaking things up and keeping it interesting. My second thought was WOOOAA-look at that line-up of instructors! I've been trying to figure out how to get to Australia to have a class with Tracy Verdugo and now the universe has delivered her to my living room-I'm so lucky! And then, the very next day, I was invited to assist behind the scenes with 21 Secrets LIVE. I could do a little dance and sing a little song about how excited I am, but I will save that special treat for my family. If you love making art live with a creative powerhouse of women, check out the class. It's gonna be extra-stellar. 21 SECRETS is turning five years old this 2014 and we are throwing a special workshop to celebrate our ka-tooties off! Come join a group of past 21 SECRETS teachers in 21 SECRETS LIVE!--you don't have to find a hotel, break the bank on airfare, or even get out of your pajamas! We are bringing the LIVE! workshops home to you! 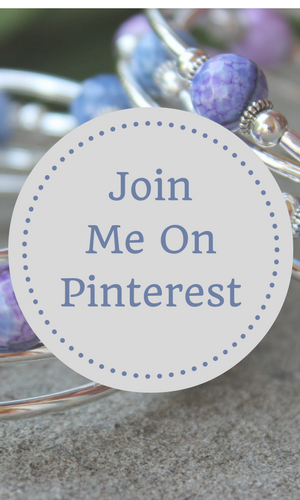 Starting January 15 your host Connie Hozvicka of Dirty Footprints Studio and a past 21 SECRETS teacher will meet every Wednesday at 6pm EST for a LIVE! video broadcast where you can art journal along with us in real time, ask us questions through a chat format, laugh your hiney off, sip margaritas, and feel like we're right there with you in your studio LIVE! Can't make the LIVE! broadcasts? No problemo! Each 21 SECRETS LIVE! broadcast is recorded and available for all members to KEEP and return to again and again! 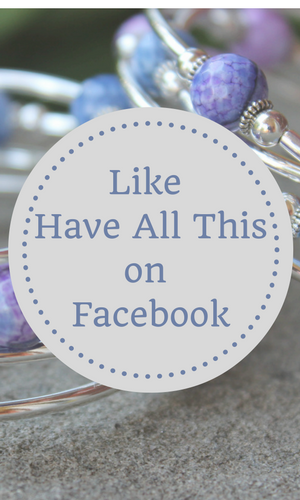 But the party doesn't just stop there--we'll keep the loving going in a private Facebook group and Flickr gallery too--so you can share your work, give and receive feedback, and be a part of a heart-centered supportive community of Artists!